Yevgeny Dzhugashvili's ire was roused by an article published in Novaya Gazeta's special "Truth about the GULAG" edition published on 22 April. 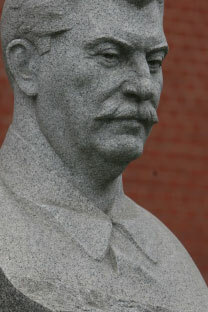 The article, titled "Beria Pronounced Guilty," was written by Anatoly Yablokov, a historian. Mr. Dzhugashvili felt that the article was harmful to his grandfather's reputation and went to court. In 1962, a state commission "listed all of Stalin's crimes against the country, the military, and the Russian people," he explained, adding that the victims were later rehabilitated.